As a leader in your company, you understand the importance of the employee experience. You spend countless hours thinking about how to best develop and engage your people in order to build a world-class organization. As an executive you invest time and resources to recruit and retain top talent while consistently allocating budget to create a culture where your people can thrive. Yet the fact remains that 85% of employees are not engaged or actively disengaged at work. While your company may be performing better than the statistics, there is always room for improvement. Recent studies and insights show that a big piece of the puzzle to unleash employee potential lies in providing what they are already asking for - experiences. In particular, providing immersive learning experiences are a proven way to both recognize and develop your employees. By capitalizing on the science which links immersive travel experiences to happiness and productivity, leaders across the C-Suite and human resource departments can unlock the untapped potential of their employees. Here at Ignite, we have a decade of experience empowering companies to build a diverse and thriving culture. We do this through experiences that elevate purpose, promote inclusion and cultivate leaders. In this article, we are excited to share with you the science behind powerful immersive experiences and how they can generate significant ROI for your company. We will also review an in-depth case study by IBM on their highly successful cultural immersion program and demonstrate how Ignite can provide purpose-based experiences that develop the skills your employees need to lead in a complex world. Immersive experiences are becoming increasingly valued. Researchers found that nearly 80% of people surveyed would prefer spending money on experiences rather than on physical objects, and nearly three out of four plan to spend even more on experiences in the next year. This makes sense as experiences are proven to bring more happiness. In fact, the Association for Consumer Research found that experiences are 70% more likely than physical products to make an individual happy. But the most interesting result of that research shows that 77% of people say that their best memories are from an event or live experience they attended or participated in. So where does this happiness come from? How do immersive experiences affect our lives so profoundly? Happiness attributed to immersive experiences is a result of the connections that are developed during these experiences. These connections often take the form of lasting relationships that are deeply impactful and personal - and they can emerge within a surprisingly short timeframe. Today’s world (and workplace) is fast-paced and stressful, leaving us little time and energy to devote to cultivating more than a few meaningful relationships. When we step out of our routine into a new experience, it naturally opens us up to deeper connections and the critical skill of empathy. 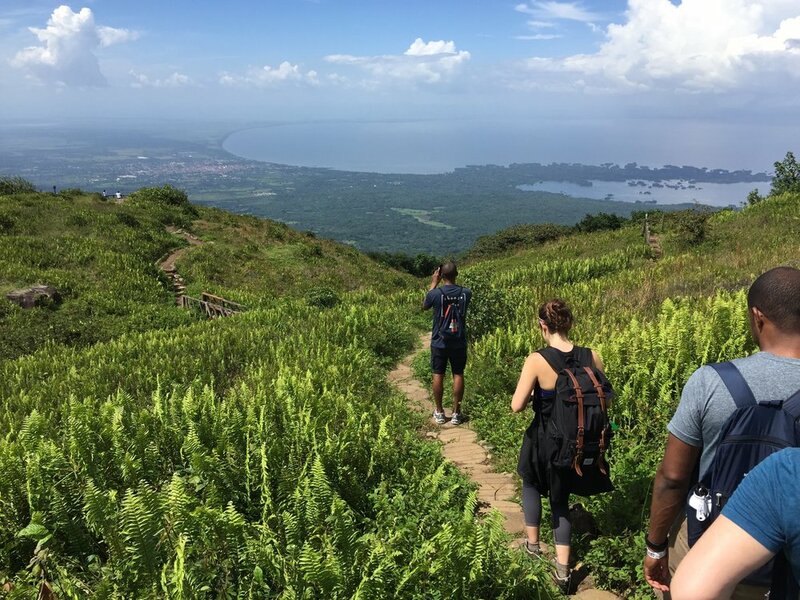 Culturally immersive travel creates an environment that connects people and communities, and strengthens the existing bonds between friends, colleagues, and loved ones. In fact, in the workplace, the top motivational reason for employee travel is to connect and build relationships with colleagues. Not surprisingly, seven out of ten people feel that experiences have more deeply connected them to other people, the community, and the world. Further, 80% feel that immersive experiences have deepened their existing relationships. Ultimately, these experiences and relationships renew the human spirit and help develop global citizens. Psychological parlance refers to the enduring connections formed through shared experiences as “crescive bonds.” Fostering crescive bonds between employees and teams across the company is a powerful way to create and grow relationships, trust, and appreciation - all of which have significant benefits for your company. By integrating immersive development experiences into your company’s culture, you can benefit from increased loyalty, productivity, and talent attraction. As many as 92% of employees say that empathy in the organization is a key driver in retention. Immersive experiences are proven to cultivate empathy and deeper relationships with colleagues, which increases loyalty. Happier individuals are 12% more productive at work. Relationships and mindfulness are key to that happiness, and are cultivated through immersive experiences. Offering robust learning and development experiences is essential in attracting top talent. More than 90% of high performers reported that working for an employer that offered such opportunities was important to them. IBM, one of Fast Company’s Most Innovative Companies of 2017, understands the impact of cross-cultural experiences, and instituted a powerfully effective immersion program for their employees. Not every company has the resources, time and personnel to invest in an immersive travel program that has the scale of IBM's CSC. Here are a few steps you can take that do not require an enormous investment, but should still yield positive results for your company and culture. Encourage employees to take paid vacation time off. Better yet, make it required that every employee must take vacation throughout the year. Some 'top companies to work for' also go as far as to provide an annual travel stipend for employees to use at their discretion. Instead of offering cash or physical products as an incentive or reward, consider providing an experience. At Google, when employees were provided experiential rewards over cash, they reported that "their awards were 28% more fun, 28% more memorable, and 15% more thoughtful." When planning your next corporate outing or retreat, think outside the box. Ropes courses, conference ballrooms and typical strategy sessions don’t cut it anymore. Make it an experience that your employees cannot forget by integrating elements that will motivate and inspire - like local community engagement or an off-the-beaten-path adventure. Sharon Ray, a Human Resource Consultant with a 25+ year career spanning both fortune 500 companies and small fast growing startups, believes that Ignite holds the key to unlocking the employee experience. "Shared experiences like the one I had with Ignite will help companies build a diverse and thriving culture, engage and develop their people, and ultimately drive business outcomes including stronger financial returns, growth and brand equity." At Ignite, we believe in the power of new experiences to transform companies, teams, and individuals. We understand the value that immersive experiences can provide to the employee experience, and we work tirelessly to ensure that our corporate partners realize those benefits. We are excited to offer turn-key and cost-effective experiences in Chicago and around the world, which will elevate purpose, promote inclusion and cultivate your leaders. If you are interested in exploring what this might look like at your company, reach out to learn more.